Self proclaimed as 'The Festival for new Music', The Great Escape's line up this year does not disappoint. With 970 acts in 36 venues across Brighton in just 3 days, there's a hell of a lot of ground to cover in a single weekend. This 22-year-old singer-songwriter from Ealing is as modest as he is talented, and absolutely stunning live. You'll have to go see him to get what I mean. Have a go at listening to his vocals on his EP Songs from my Bedroom and on as many Youtube videos as you like, but nothing will compare to Gracie's voice filling a room with his heart wrenching lyrics. Just think Jeff Buckley and Leonard Cohen. Gracie is one you need to catch live if you can, his whole stage presence is just mesmerising...and he never disappoints with his shirt choices either. Isaac Gracie will be playing at KOMEDIA at 9:30pm on Friday 19th. like TJH. They did produce a fair few of her songs after all. The Japanese House will be playing at WAGNER HALL at 12pm on Thursday 18th. At just 19, Will Joseph Cook shouldn't be this good at songwriting. His debut album only just dropped in April this year, but this is just the beginning for Cook. His infectious riffs will have you playing his guilt-free indie pop on repeat this summer. His tongue in cheek lyrics and music videos don't hurt either.Will himself has likened his kind of pop the sounds of MGMT, Weezer, Vampire Weekend and Phoenix, give his album Sweet Dreamer a go to see what he means. Each track on his album oozes personality, and his set will get you dancing and put you in the festival mood for the weekend. Will Joseph Cook will be playing at WAGNER HALL at 2:30pm & 9pm on Thursday 18th. This Norwegian punk pop band seem to be the name on every 'must see at TGE list' for 2017- and for good reason. 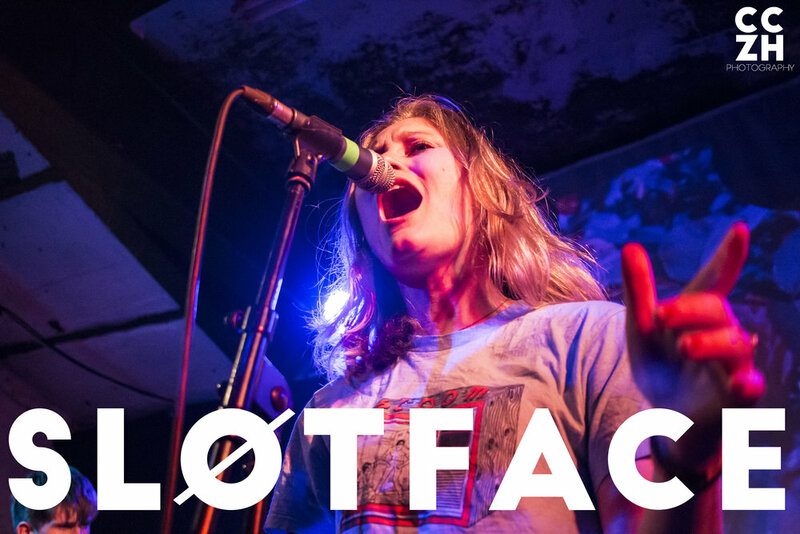 Sløtface have conjured up quite a name for themselves, and not just because no one seems to know how to pronounce theirs properly.With 6 slots at SXSW under their belts and a stack of stellar reviews off the back of that, this band are a lot more than just their edgy name. With a headstrong female lead and strong feminist values, Sløtface are not only working hard on their music but their message too. They aim to make moshing safe for women for a start. Check these guys out- you won't regret it. Sløtface will be playing at WAGNER HALL at 6:30pm & 8pm on Thursday 18th & at Horatio's at 9:15pm on Friday 19th. With 3/4 members from indie band Port Isla, this band have strong roots with BBC Introducing. And for those who don't know, this is the sector of BBC radio who nurture and give unsigned artists a real platform on local radio. Introducing has given massive names like Ed Sheeran, Florence and the Machine and Two Door Cinema Club a foot in the door, so we can expect big things from this brand new band too.Influenced by the likes of The Beatles, Kanye West, Leif Eriksson you'll be humming along to these guys in no time. On the line up for an impressive number of festivals this summer, you can catch them at Reading and Leeds, Latitude, Barn on the Farm and of course TGE, among many others. Outlya will be playing at The Hope and Ruin at 8:30pm on Thursday 18th.